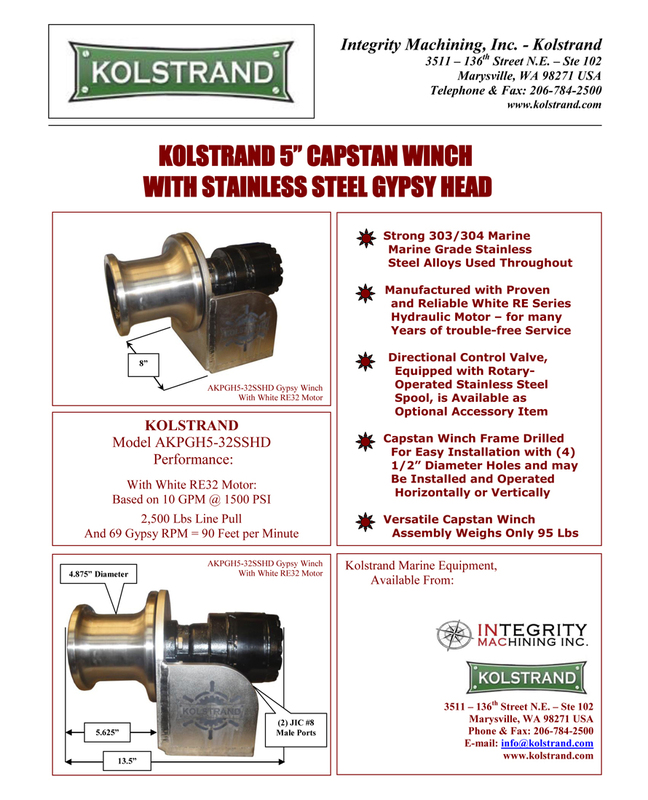 Popular and versitile 5" Capstan Winch with "Bolt-Down Style" Stainless Steel Frame and Stainless Steel Gypsy Head manufactured by InMac-Kolstrand solves many handling problems. New Stainless Steel Winch installs easily and may be used in either horizontal or vertical applications. 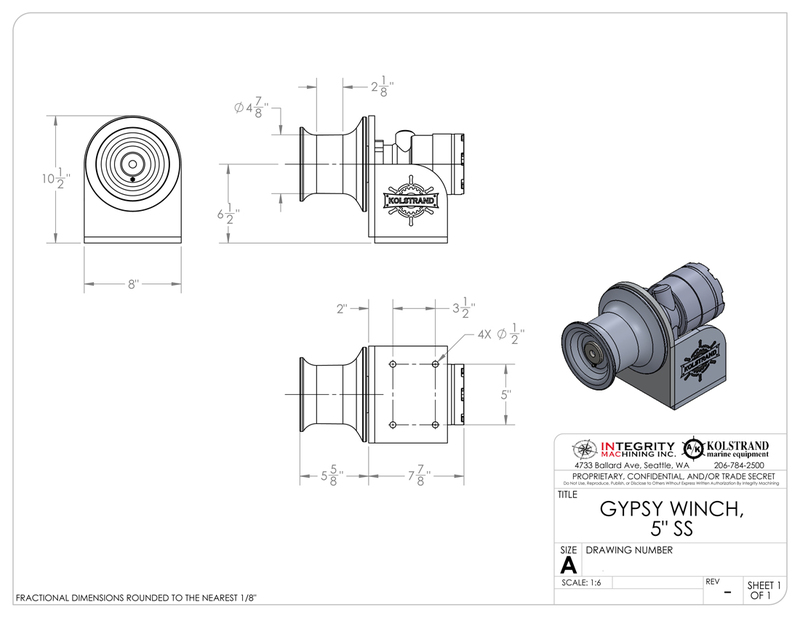 Click the button below to add the InMac-Kolstrand 5" Stainless Steel Capstan Winch with Bolt-Down Style Stainless Steel Frame and Stainless Steel Gypsy Head to your wish list.